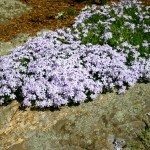 I have a long area of established phlox that hang over a wall. They are getting thin and stringy and I think they need to be trimmed. Wen do I cut back phlox in MD and how short should I cut them? 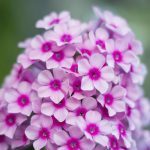 You can cut your Phlox back any time now through early Winter. Just give them a hard prune by cutting them back to about 3 to 4 inches in height. They will grow back in the spring.